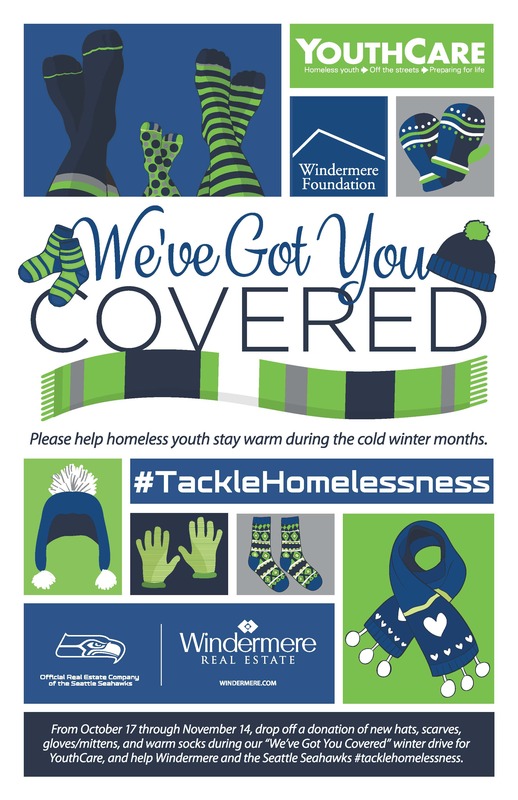 This fall, the Windermere Foundation is teaming up with YouthCare to help homeless youth stay warm during the cold winter months. To do this, we are collecting new hats, scarves, gloves and socks from now through November 14th. Our office is a drop off location but if you can’t make it to our office, we are happy to meet up with you and collect your donations at a location more convenient for you! Just let us know!